Part of my local shop 2 for £3. Not seen it before so always willing to try! Plus, I like the name. Pours a fairly cloudy off amber with a large head. Quite lacy with simple hoppy smells. Tastes quite country like, grass/straw flavours. 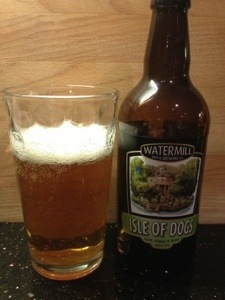 Pretty refreshing, however quite dry with a toffee or caramaly aftertaste. I don’t like blonde lagers so was a little worried it might be a bit like that but pleasantly proved wrong. I would drink again. Very drinkable. Pours easy, nice burnt orange colour with short lived creamy head. Nice beer. Slightly hoppy with some fruity overs. Can taste biscuits or bread too. Got it from behind the bar at the watermill inn pub in the Lake District. Anyway, it’s fresh and light and definitely a top drop. So refreshing, could replace my summer lagers with this! Some light citrus flavours. 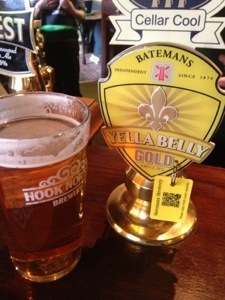 This is their ‘everyday’ drinking ale. So wasn’t expecting masses. But I was pleasantly surprised. It was extremely drinkable. Another pretty fizzy beginning, and a golden amber colour. A little malty and some ‘country woodiness’ but nothing overpowering. I think the term is ‘good BBQ beer’! Would definitely buy again, but probably only when on offer. 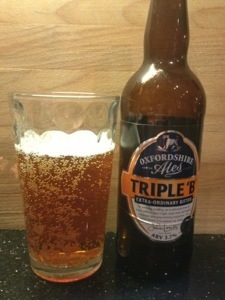 I do like Marshmellow beer from Oxfordshire ales. So thought I’d try a couple of others from them. 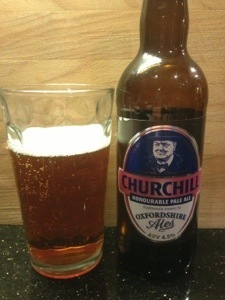 First up is the IPA, Churchill. Quite frothy head, and deep colour. Quite fizzy almost lagery. It’s got a nice burnt sugary flavour and quite enjoyable. I think I got some orangeness as well. Yeah, not bad, but not blown away.